The greatest ape by Kay Bojesen. So cute for a kid’s room! 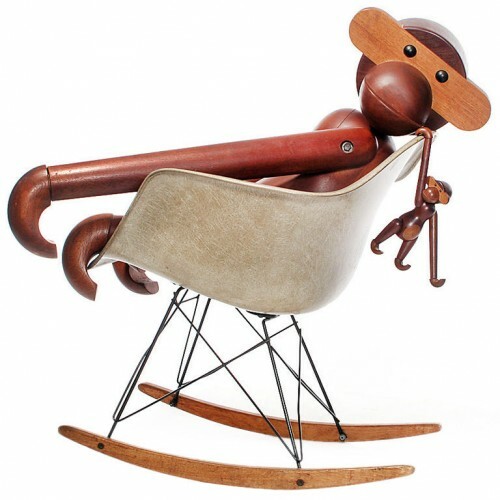 He looks so comfy in this Eames rocker! Should I get it for my future children, or myself?